Marco Reus and Jadon Sancho are the major absentees from Borussia Dortmund's UEFA Champions League squad after the Bundesliga club's selection for the group stage was confirmed. 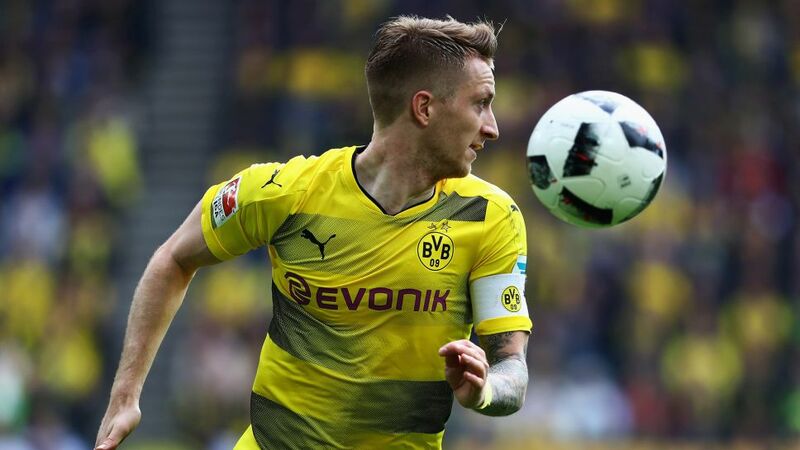 Reus was expected to be unavailable for the six-game group stage that runs through to early December as a result of the serious knee ligament injury he suffered in May's DFB Cup final win over Eintracht Frankfurt. In an Instagram post, the Germany international had admitted he would not be fit before the turn of the year. "My main aim is to be at peak fitness in the new year so that I can go all out in the business end of the season," Reus wrote. Sancho, 17, only joined the club from Manchester City on deadline day of the summer transfer window, and has yet to make a competitive first-team appearance in his young career. Both Sancho and Reus could be among three players that are allowed to be added to the squad if Dortmund reach the knockout stages. As he has been with the club since 2015, USA international Christian Pulisic was eligible to be named on the B list, reserved for young, homegrown talents, giving Dortmund the chance to add one more player to their 25-man A list. Summer signings Maximilian Philipp, Dan-Axel Zagadou, Andriy Yarmolenko, Ömer Toprak and Jeremy Toljan were all included. Peter Bosz's men face reigning European champions Real Madrid, English outfit Tottenham Hotspur and Cypriot outsiders APOEL in Group H.
They will kick off their campaign against Spurs at Wembley on 13 September.